Unilever's Dove brand apologises for an advert deemed as racist. LONDON - Personal care brand Dove has apologised for an advert that showed a black woman removing a top to reveal a white woman underneath, following accusations of racism. The three-second video clip appeared in the United States on the social networking site Facebook. Dove said on Twitter that it had "missed the mark in representing women of colour thoughtfully" and deeply regretted any offence caused. 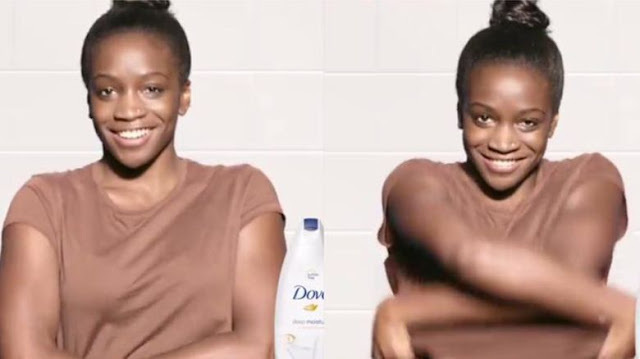 The body wash ad showed a black woman removing her top, revealing a white woman underneath. She then took off her t-shirt, showing a third woman underneath. "Ready for a Dove shower? Sulfate free with 100 percent gentle cleansers, our body wash gets top marks from dermatologists," the advert said. The Dove brand, owned by Rotterdam-based food and consumer products giant Unilever, which is listed on the London and Amsterdam stock exchanges, apologised after several people on social media deemed the advert racist. "As a part of a campaign for Dove body wash, a three-second video clip was posted to the US Facebook page," a statement said. "This did not represent the diversity of real beauty which is something Dove is passionate about and is core to our beliefs, and it should not have happened. "We have removed the post and have not published any other related content. We apologise deeply and sincerely for the offence that it has caused." Unilever was slightly down in a stable market at the opening of the London stock exchange on Monday, as the hashtag #boycottdove circulated on social media. The Dove page on Unilever's website begins: "Dove believes that beauty is not one dimensional; it is not defined by your age, the shape or size of your body, the colour of your skin or your hair." Personal care brand Dove has apologised for an advert that showed a black woman removing a top to reveal a white woman underneath, following accusations of racism.